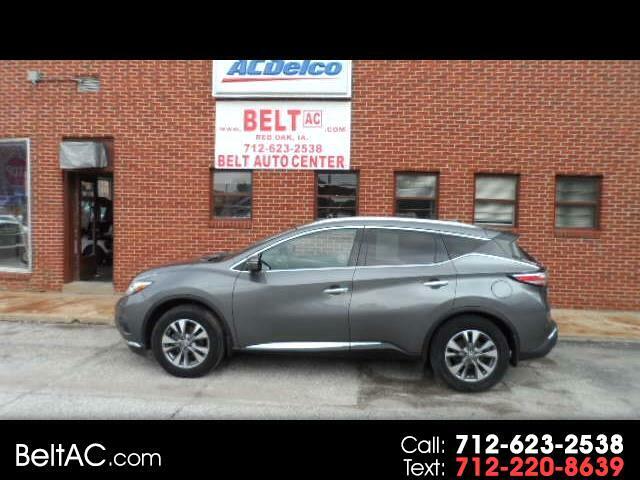 Used 2015 Nissan Murano SV AWD for Sale in Red Oak IA 51566 R.K. Belt & Sons, Inc.
(22) Photos Apply Online Text Us About This Vehicle! R.K. Belt & Sons, Inc.
Low miles, leather, clean, and ready to go. Give us a call. Sales Tax, Title, License Fee, Registration Fee, Finance Charges are additional to the advertised price. Not responsible for typographical errors and vehicle subject to availability. Our inventory is changing daily. Please Call Butch,Kevin, or Dane. Toll Free at 1-866-445-7252 for more information on this vehicle. We want to make sure that it is here and waiting for you, that's just how we do it, Service, Service, and more Service. Call today!!! Visit our website https://www.beltac.com/ for more!